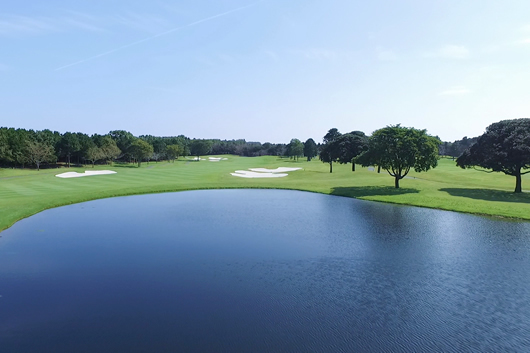 A par-5 where your tee shot needs to clear a pond. 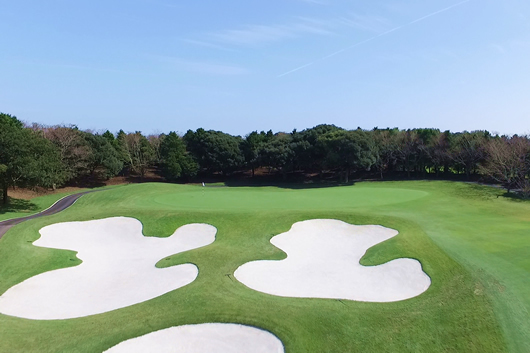 When teeing off, aim for the little right of the left-side bunker. If you're a long hitter, it's possible to get on the green in two shots, but average golfers should aim to get there in three. 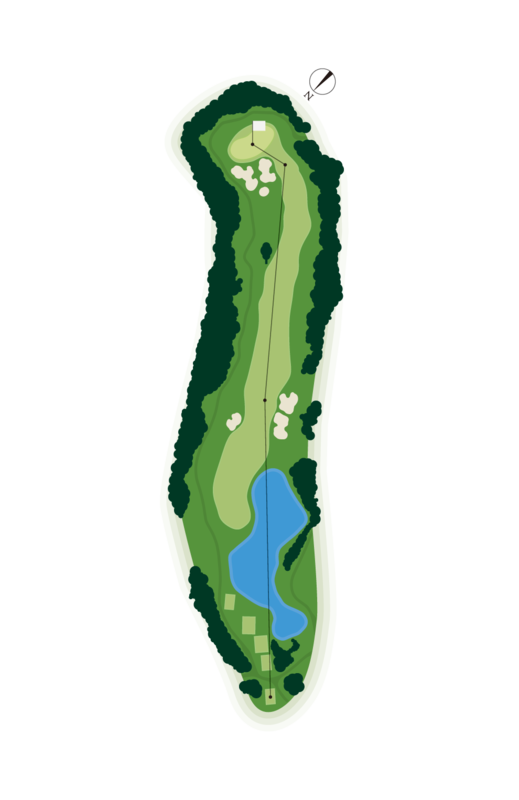 For your second shot, the right side of the fairway is the best route. From the rough just in front of the green, you cannot see the surface of the green, and you also have to be careful for the three bunkers. © 2017 Tokyo Leisure Development Inc.